We are back from my ski club working bee. A hard weekend of work. L is new to the club and was thrown in at the deep end of cleaning…I was in the kitchen pretending to be a Masterchef contestant and helping feed 40-odd workers…Lots of fun and the kids all has a blast. And we still have another day of Easter holiday to enjoy! And my beloved Liverpool is playing Norwich as I write…one hand on the Premier League title? And Sterling scores inside 4mins!!!! This wine is pale pale green yellow. 13.6%. Eh? .6 is a bit precise counting, what? An enveloping and very engaging open nose of Packham pears, grass and Golden Delicious apples. 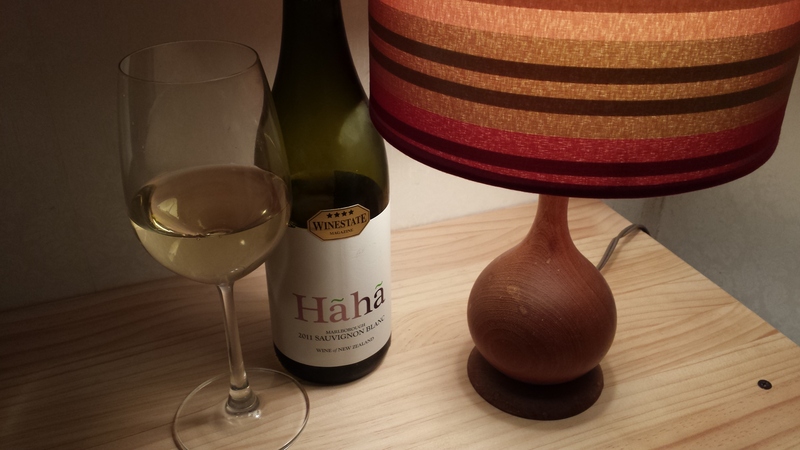 This entry was tagged $, 2011, 4, From the Cellar, Ha Ha, Marlborough, Sauvignon Blanc. Bookmark the permalink.